Awards Archives - Page 2 of 2 - Law Office of Michael F. Pezzulli, P.L.L.C. 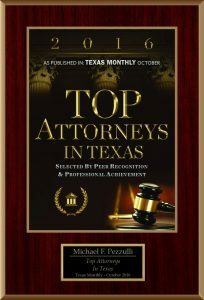 Michael F. Pezzulli has been recognized by Texas Monthly magazine as one of the top attorneys in Texas. 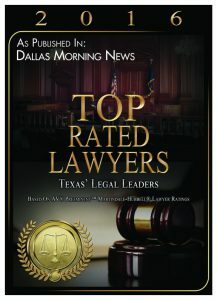 This prestigious award is given to attorneys who shine in their fields. Congratulations, Michael!